9 Gifts for the Earth-Mama (or Papa) on your List! Got a hippie on your list and have no idea where to begin? The hippie-type can be hard to buy for, especially if you're not drinking the HFCS-free Koolaid. Do you get them a scarf made from recycled plastic water bottles? Or perhaps purse made from recycled denim? The eco-friendly, earth loving, dirt-worshiper on your list is discerning, hyper-aware and educated on what they like and what they need. There are so many choices in this world these days as (forgive the term) the modern-hippie demographic explodes. Here are a few ideas to help you wade through a sea of organic this and fair trade that. Even people that don't like hippie-dippie incense LOVE the residual aroma of Nag-Champa. I get complimented constantly on the way the house smells when clients come for consults; and it's all because of "the Nag" I frequently burn. Even my hubby likes it and it's universally loved by hippie folks far and wide. Pick up a gigantic box at a head shop near you OR go to Amazon.com and have it sent to your door. Nag Champa incense is made from a combination of flowers resins, essential oils and herbs which are pure and natural without any toxic aromas. The name of the incense comes from the Champa flower. Nag Champa first became popular in the west when Bob Dylan burned it at his concerts and it spread like wildfire over the last 50 years. Pick up an incense holder too if you think they'll like a creatively made holder - I love these recycled wine bottle incense burners. Brilliantly useful design here. The incense attaches to a metal piece that hangs inside the bottle; collecting all the dust and debris. While a beautifully, billowing cloud of smoke comes out of the top of the bottle. Love these! Wrap the Nag Champa box around the wine bottle with big red bow for fun! If your looking for a good book for the foodie/hippie in your life, you could NOT go wrong with a copy of Nourishing Traditions. It's an absolute classic in Natural Health circles, and it's chalked full of recipes, cooking tips, educational information on all natural manners of preparing "mass-quantities." This book challenges traditional health food thinking. So for the non-tradtional person on your "nice" list, this could be a perfect fit. My suggestion is to pick it up at a local bookstore near you. Support your local economy in this way if you have the means. You might pay just a few dollars extra, but you'll fee good about supporting your neighbors. This might not be the most exciting gift in the world but for a girl like me - heck - I'd be pretty stoked to get a set of these Ozeri PFOA-Free Stone Derived Pans. Ozeri pans are really gorgeous; and they don't emit toxic fumes into the air (and your food!). PFOA (Perfluorooctanoic acid) is what most nonstick pans are coated with that make them - well, non-stick. When PFOA is ingested, (either by breathing in fumes from heated pans, or from ingesting food cooked with PFOA pans) we are taking in a toxic and liver carcinogenic substance that even wikipedia says is bad-news-bears. I don't cook on any regular non-stick pans anymore. Check these out for an affordable alternative. You just pop the Rainshower bath ball into the tub, wait around 8-9 minutes or so as the tub fills up and I like to swirl it around in the tub for good measure. The contents of the bag render the harmful chlorine molecule inert via a chemical reaction. And - NO yucky chlorine smell. Hallelujah! You could get someone the shower head, bath ball, a replacement for both and they would be set for the entire year! That is the gift that keeps on giving. Ridding the water of harmful chlorine will leave the skin and hair feeling much better, less dry and more manageable. Not to mention the detrimental effects of chlorine inside the body; it destroys healthy bacteria in the intestinal tract and disturbs our bodily pH. All of which are NO-BUENO. If you want a healthy body, avoid drinking chlorinated water by filtering it with Reverse Osmosis. More info about that at this link. Looking for a gift for the spiritual seeker or zen-type? Wind chimes are a nice pick! I was testing these babies out last week at Shulers Books in Okemos Michigan and I wanted one SOOO bad! They are beautiful, and create a literal vibration of peace and welcoming to all who enter your doorway. They are excellent for a feng-shui balanced home as well. Allowing for a positive flow of chi in the home. A little advice (from what my husband had to say on the subject), look for one with lower tones instead of the higher - more "chimey" tones. Lower tones may be more widely palatable. Check these out at a local bookstore near you - OR go to amazon and read through the reviews. I liked the looks of this one. For your stressed-out-naturally-geared folks; look into high quality bath sea salts and essential oils. Quality DOES matter with regard to these as they are topical and will enter the body via the skin. Discerning hippies know their stuff! 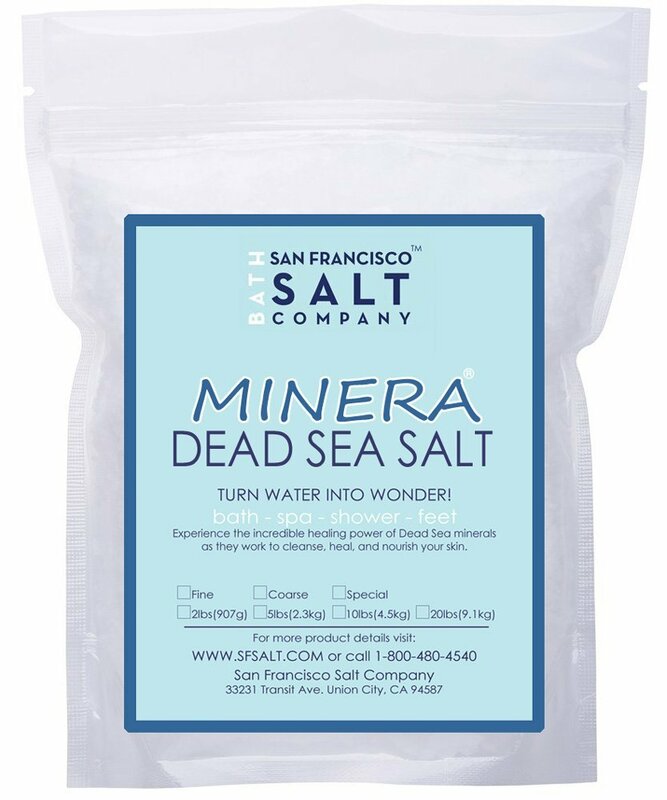 I like Dead Sea Minerals instead of just regular old epsom salts. They are more mineral rich, and from a pure source in Isreal. Picking up a few bags of these will have your loved one soaking and singing your praises! 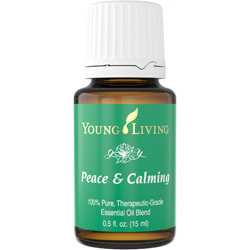 For an extra cherry on top; pick them up a bottle of Peace & Calming essential oil from Young Living Oils. This is by far my most very favorite essential oil and BOY does it do the job. For someone in an emotional crisis, stressful time - or just your average Joe or Jane going through a stressful holiday, this is a total winner. It's not always easy to find so check amazon and google Young Living Oils to find yourself (or a loved one) a bottle. Add 5-10 drops to the bath with salts and bask in the glory of good, clean, peace and calming. Herbal Face Food Serum, 2 fl. oz. Last but not least, Herbal Face Food is an anti-aging serum of the most natural ingredients possible. It's made from Aloe, Jojoba Oil and 12 essential oils including lavender, clove, oregano, jasmine and more. The thermo-reaction or warming sensation felt on the skin when applied are multiple antioxidants working their magic on the skin - protecting skin cells from the signs of aging, sun spots, discolorations, scarring, acne, eczema, psoriasis and much more. It registers into the millions on the ORAC scale which is a measurement of antioxidants. Antioxidants fight cancer and other molecular abnormalities that promote cellular death. Not only will your skin look better but your entire body will be healthier with this lovely serum. Check out my blog post to learn all about it and to purchase it online from yours truly:) Yes, I'm selling it now because it's so so good. I'd love to answer all your questions on this one as it's a product that needs a bit of instruction to use.